There are just two days to go to The Great Sherlock Holmes Debate and we’ve been practising with the on-line technology with the team captains. As we have two podcast presenters (Kristina and Burt) and an actor (Nick) we have to admit that our chairperson (Steve from MX Publishing) is the one feeling the pressure of presenting live – he has the easy task of making the introductions though. The team captains will be talking a lot about the debate on Facebook in the coming 48 hours – Baker Street Babes, I Hear of Sherlock Everywhere and Big Finish Productions. Please remember the debate is supporting two important causes – Save Undershaw and BAFTA for Jeremy Brett – please check out their sites and join their pages on Facebook (Undershaw Trust on Facebook). Over 600 Sherlock Holmes fans joined the Great Sherlock Holmes Debate Facebook page to compete for batches of tickets for the audience for next Thursday’s debate. Fans from 23 different countries successfully grabbing a precious ticket to the Holmes event of the year and the final audience list is attached below – along with a reminder of all the team members. The debate takes place on 10th November 2011 at 8pm UK time online so all audience members need is an internet connection to listen in and submit their questions live – they will also get a chance to submit a question/comment ahead of the debate. They will also be asked to vote for their favourite team before, and again after, the debate – a great measure of the strength of the team arguments. The debate is being hosted by Sherlock Holmes Publishers MX Publishing who will be posting up slides and video clips from the debate via the Facebook page after the event for fans that didn’t get an audience ticket. Please remember the debate is supporting two important causes – Save Undershaw and BAFTA for Jeremy Brett – please check out their sites and join their pages on Facebook – Undershaw Trust on Facebook and Bafta4JB on Facebook. Today, the 80 general public audience places given away to the members of the Great Sherlock Holmes Debate Facebook page which stands currently at over 500 members. The places will be released in phase today to ensure all regions have a chance. There are fans from over 20 countries trying to get places. The debate takes place on 10th November at 8pm UK time online so all audience members need is an internet connection to listen in and submit their questions live. The debate is being hosted by Sherlock Holmes Publishers MX Publishing. Pllease remember the debate is supporting two important causes – Save Undershaw and BAFTA for Jeremy Brett – please check out their sites and join their pages on Facebook (Undershaw Trust on Facebook). Thursday evening was the re- opening of the iconic Sherlock Holmes Pub in London and it was the place to be if you are a Sherlock Holmes fan. Fifty key people from the Sherlockian world were invited to celebrate the major refurbishment. 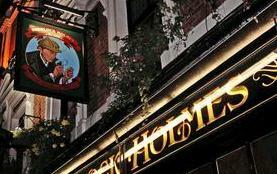 The pub is one of the most visited places on the Holmes trail for any fans coming to London and Sue and the team have done a great job updating it. We were invited as the UK’s main Sherlock Holmes publishers and we brought along books for all the guests (we went with Aside Arthur Conan Doyle which is a wonderful collection of short stories by Conan Doyle’s close friend Bertram Fletcher Robinson – compiled by leading Holmes author and historian Paul Spiring who couldn’t make it to the evening as he is in Germany at present). The timing couldn’t have been better as it was a perfect chance to recruit some more participants for The Great Sherlock Holmes Debate, and meet up with some of the existing team members. First discussion (and recruit) of the evening was actor Roger Llewellyn who has played Holmes a staggering 800+ times on stage in the last decade – all over the world. 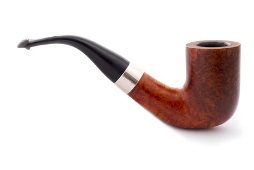 He plays a very traditional Holmes and has naturally joined The Traditionalists team. I can report back that there are fewer fun things then to spend time drinking ale (I chose a pint of Sherlock of course) with Roger – he’s a very charming and funny man, and revealed that he hadn’t had a particular love for Holmes before playing him, it had been a great fit as a character – but has since developed a deep respect for Conan Doyle having got to know all about him over the many years. Next up were Roger Johnson and Jean Upton from the Sherlock Holmes Society of London. Roger is on the BBC Sherlock team and we discussed tactics as well as his new book ‘In The Night, In The Dark’ which is a collection of ghost stories that include the entire original collection that won him the Dracula Award for ghost stories (the same award that big names like Terry Pratchett have won). Jean created the amazing photograph of the skull, bell and hook on the cover. Roger has been reviewing our books for many years in the Society’s journal and it was great to see them both. Representing both himself and the Save Undershaw campaign was Holmes author Alistair Duncan. It was Alistair who first convinced us to get into Holmes publishing and now many books later, we are about to publish his best book yet – An Entirely New Country – covering the time that Arthur Conan Doyle was at Undershaw. It comes out in December and is already being tipped to be one of the most important books about the great man in years. Alistair was on good form, especially when explaining why he has moved over from the BBC Sherlock team to The Traditionalists for the debate (see Alistair’s blog for more details). Another subject for me and Alistair (and most others there) was how much everyone was enjoying the new Sherlockology website – resounding thumbs up all round. It was wonderful to meet BBC Sherlock’s Steven Moffat and Sue Vertue who took time from their extremely busy schedules [the new series is coming out in a few months time] to come along. As you can imagine everyone was queuing up to have a few words with them and I was lucky enough to be able to have a chat about the Debate – ‘Oh that’s all down to you then is it?’ Steven smiled when I introduced myself. It seems the Sherlock team have been watching the progress of the debate with interest. It was a very enjoyable evening with many more fascinating Holmes characters including Bob Ellis from the London Society and the great nephew of Arthur Conan Doyle as well. There were even those dressed as Holmes and Watson who were inundated with tourists with cameras wanting their picture taken with them. An evening of fine ale and fine company and one that will stay in the memory. The official press pass holders, Always 1895, broke the news last night that after huge pressure from fans, we have added a third team to the debate. The fans have argued that although there hasn’t been a major ‘traditional’ adaptation of Holmes in the last decade, the ongoing and enduring influence of, at very least the Granada series with Jeremy Brett, should have a voice. Team 3 brings together ‘The Traditional Adaptations’ and whilst the ITV series is the most iconic, will also include team members from several adaptations that stay very close to the original Arthur Conan Doyle stories. Team 3 if you like will set the benchmark against which the other two teams can put forward their arguments. Team 3 will be led by Nick Briggs who plays Holmes in a major new audio adaptation of Holmes being released this month. Nick is probably best known as the voice of the Daleks and Cybermen from Dr.Who and has played Holmes before in the theatre. He has an intricate and recent knowledge of traditional adaptations and we look forward to Nick’s comments in the run up to the debate. 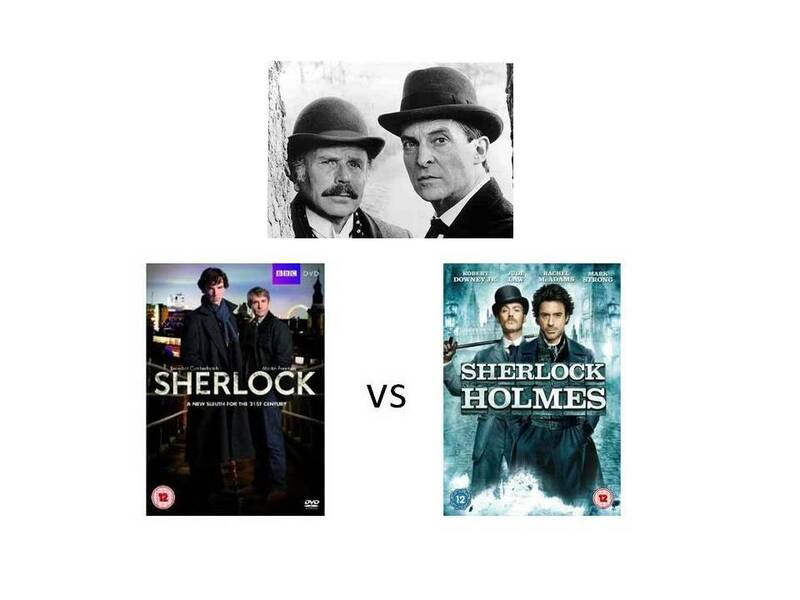 There is no question that traditional adaptations (done well) add value to the legacy of Holmes whenever they are broadcast as they are simply communicating the original stories in a new medium. The argument that the other two teams have to get across is that the changes from the original that they have are outweighed by other factors – interest, excitement, celebrity, reach and a host of other things I am sure the teams are already working on. Always 1895 will be revealing the team members as they are confirmed – as you can imagine, there are several heavyweights in the Holmes world that come from the traditionalist camp. There are a few days to join the The Great Sherlock Holmes Debate Facebook page where the 80 audience places will be released in October. There are around 400 members now but we expect that number to increase a lot with the introduction of team 3. Please remember the debate is supporting two important causes – Save Undershaw and BAFTA for Jeremy Brett – please check out their sites and join/like their pages on Facebook (Undershaw Trust on Facebook) (BAFT4JB on Facebook). 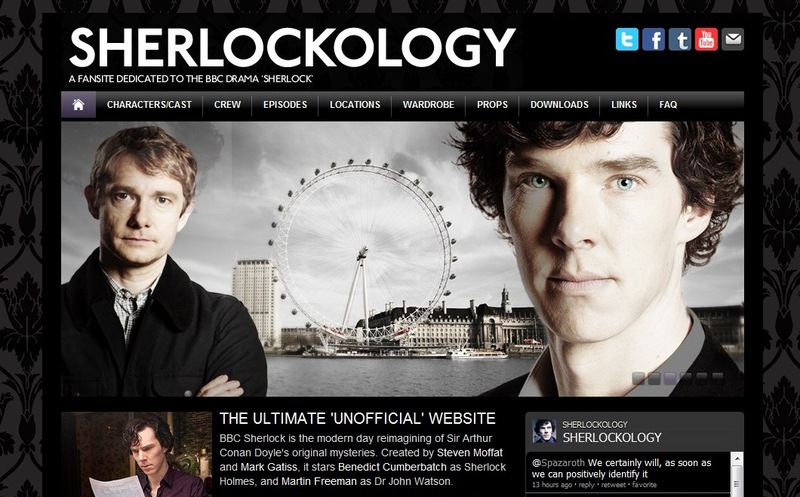 Last week the world’s largest unofficial fan site for BBC’s Sherlock, Sherlockology, went live, with tens of thousands of visitors in the first 24 hours. A quick look through the site and you can see why. They have a huge amount of information about the BBC series, which enlisted an immediate response from the show’s producers within hours of the site going live. In term’s of The Great Sherlock Holmes Debate the timing couldn’t have been better as now the team behind Sherlockology have thrown their considerably large hat in the ring and joined the BBC team. This is important for the BBC as last week we announced that I Hear of Sherlock Everywhere joined the Guy Ritchie team with their access to some of the film’s advisers. The first statement of intent came out at the weekend from award winning writer Alistair Duncan who drew the battle lines on two key issues – Fidelity (how true to the original the adaptations are) and New Fans and profile. On his Sherlockian Blog Alistair argues that the debate will be a very close run thing. Alistair is one of the world’s leading experts on Holmes and Conan Doyle. This year his book, The Norwood Author picked up the coveted 2011 Howlett Literary award (Sherlock Holmes Book of the Year). He knows his BBC Sherlock too. When the BBC contacted the London Society to suggest an expert to comment on the new adaptation, on the morning of the airing of the first episode it was Duncan that was interviewed on BBC 5 live. 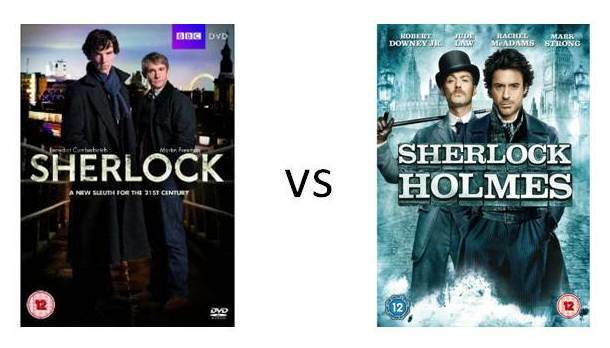 What is important for the BBC team is that Sherlockology bring a depth of knowledge to the debate that is unsurpassed. From cast to wardrobe, scripts to locations, the site covers every possible aspect of the series and will help the team with the specifics. It will be interesting to see how the Films team responds this week. With well over 1,000 journalists from around the world reading the Great Sherlock Holmes Debate press release, and dozens of enquiries, it has been a tough decision on where the first press pass for the debate would go. Should we go mass-readship, or specialist Holmes? In the end we opted to go with a Victorian and Holmes specialist. Always 1895 has garnered a strong following built on the highly detailed articles on Holmes that come out weekly. We also have assurances that they will display Holmes and Watson esque detective skills tracking down the stories behind the teams and team members. We envisage handing out another three of four press passes, so if you’d like the inside scoop from the Sherlock Holmes event of the decade so far (yes, ok so we are only a year into the new decade but nevertheless…) then get in touch with us with your press credentials. There will be 80 general public audience places given away to the members of the Great Sherlock Holmes Debate Facebook page which stands currently at around 200 members.